Hamish Wolfe is no different. Locked up for the rest of his life for the abduction and murder of three young women, he gets countless adoring letters every day. He's handsome, charismatic and very persuasive. His admirers are convinced he's innocent, and that he's the man of their dreams. Who would join such a club? Hamish wants her as his lawyer, he wants her to change his fate. She thinks she's immune to the charms of a man like this. But maybe not this time . 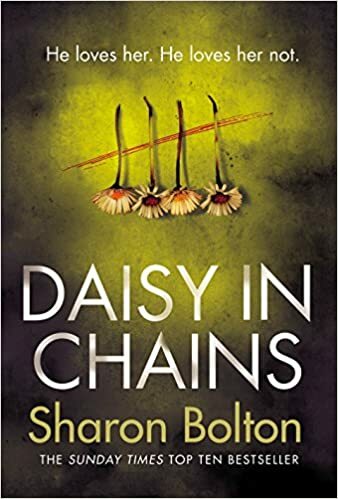 . .
Daisy in Chains is a brilliantly constructed story that makes the reader think and misleads on many an occasion. The atmosphere of tension and dread throughout the book make it a great read. Books like this make me happy, it’s like it was written for me. I can honestly say it was unlike anything I have read before. I do wonder what kind of mind comes up with these things. The characters are so well written; even I took a shine to Hamish. I can’t really say too much without giving away the plot. I am normally good with endings but I never saw this one coming until the last 10% and even then I was smiling from ear to ear at such a well crafted and frankly brilliant ending. Without doubt this book is already a contender for my book of the year. Just buy it. You won’t regret it.